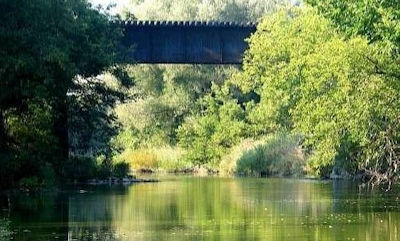 Often referred to by those who live here as simply “Craig”, Ailsa Craig Ontario is a North Middlesex community of less than 7,000 residents on the Ausable River. At the crossroads of Highways 19 and 7, the community is just 23 miles Northwest of London Ontario Canada. Its superior location and community feel make it a desirable place to live in the area. 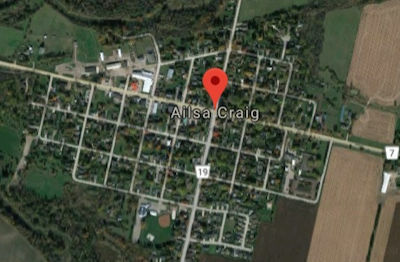 Those in search of houses for sale in Ailsa Craig Ontario will discover single-family homes starting in the upper $100k range and reaching far above that. The area is an interesting combination of smaller, single-family homes, rural properties, large suburban style homes, and even large brick, estate-style homes. You have a choice of living a little outside the village for a more solitary experience or enjoy the village lifestyle in town. Homes are increasing in value and that is reflected in the care residents provide their properties. There are new developments being built in this growing area. Living in Ailsa Craig Ontario offers extraordinary access to London Ontario's opportunities while providing you the comforts of your own “hometown”. This is an active community with annual events that include everything from car shows to its own Christmas parade. Here, you'll find craft groups that suit your interests to athletic and arts-related opportunities. Ailsa Craig is served primarily by the Thames Valley District Public Board including the East Williams Memorial School, Craigwood School, and others. Schools in the area generally receive superior marks and are well embraced by parents and students. Schools are convenient and transportation is accessible. Ailsa Craig is a village in both name and spirit. It is a vibrant area to consider calling “home”. If you would like to know about living here, please feel free to contact us to review our latest real estate opportunities nearby.